THEY'RE nature's fireworks and it's no wonder people are captivated when they get to witness them. 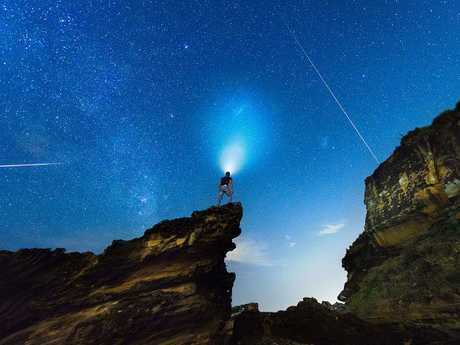 But only certain hemispheres can see annual meteor showers and the messy night sky can be quite hard to navigate if you want to get a get a good show. 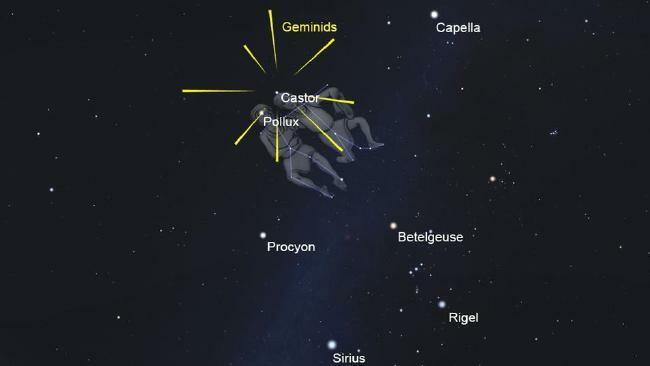 Two researchers have put together a handy guide on where to watch the best meteor showers. 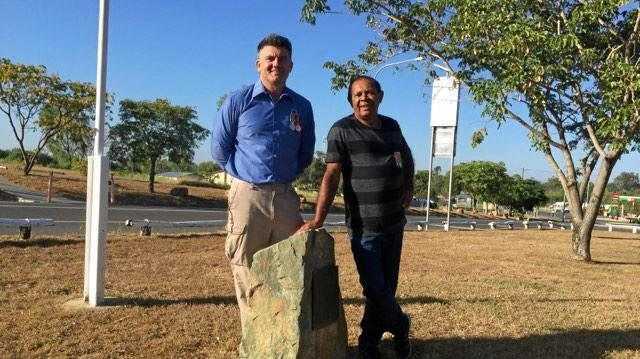 Tanya Hill is senior astronomy curator at Museums Victoria, while Jonti Horner is an astrophysics professor at the University of Southern Queensland. Together they have rated each shower and given forecast activity, with charts on where to look and the peak times displays can be seen. That's known as the maximum Zenithal Hourly Rate, or ZHR - in other words, the number of meteors you would see in an hour, assuming perfect conditions. "The actual rate you see will always be lower than this value - but the higher a shower's radiant in the sky and the darker the conditions, the closer the observed rate will get to this ideal value," the researchers explain in The Conversation. "To see the best rates it is well worth trying to find a good dark site, far from street lights. "Once outside, make sure to give your eyes plenty of time to adapt to the darkness - at least half an hour." News.com.au has adapted the list to those showers that can be seen from the southern hemisphere. The inner solar system contains a "vast swath of debris", explain the astronomers, known as the Taurid stream which is so spread out that Earth spends a quarter of the year passing through it. As this happens, dust is dumped into Earth's atmosphere. Activity starts in September and continues through until December, with peaks and troughs through October and November. 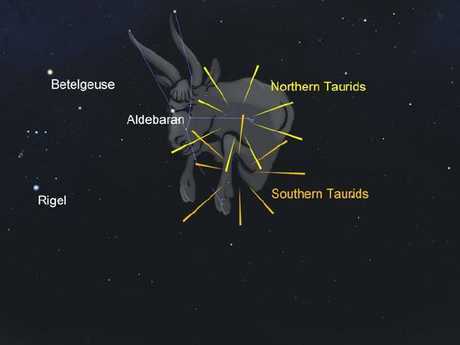 The Taurid stream is complex and has at least two main components, known as the northern and southern branches. The Southern Taurids are said to be active a little earlier in the year and reach their peak about a month before the northern branch. These guys are slow and feature plenty of bright fireballs so should make a good display even though their rates are low. Couple the Taurids up with the Orionids and you could have one impressive show on your hands. 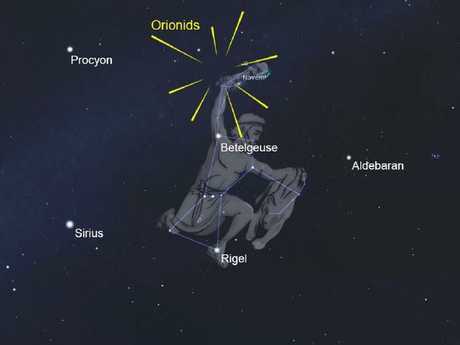 The Orionids are a fairly reliable meteor shower, according to the astronomers. Another stream of debris (around the orbit of Comet 1P/Halley), Earth travels through it twice a year. The Orionids have a long, broad maximum, and peak rates can last for almost a week, centred on the maximum date, fluctuating in their distinctness. These guys are much faster than their Taurid cousins. But like the Taurids they are often bright because of the high speed the meteoroids hit Earth's atmosphere. This shower is best seen after midnight when the Orionid radiant rises and is high enough in the sky for reasonable rates. The experts say this year's display will be good as the moon will be in its "waxing gibbous phase", setting some time after midnight and leaving the sky dark, allowing us to watch for pieces of the most famous comet of them all. It may be a relatively new phenomenon, but this shower is the most reliable and spectacular. The Geminids were first observed just 150 years ago and were a relatively minor shower through the first part of the 20th century. But rates have since improved to the point where they are now the best of the annual displays. Astronomers say the reason for this rapid evolution is that their orbit - and that of their parent body, the asteroid Phaethon - is shifting rapidly over time, precessing around the sun. They compare it to wobbling like a slow spinning top. 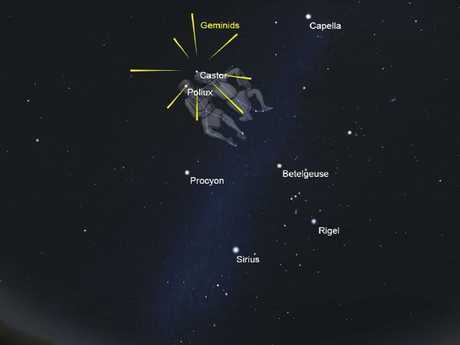 That means the centre of Phaethon's orbit, and the centre of the Geminid stream, is moving closer to Earth. For Aussies, the radiant rises later, so good rates are delayed until later at night. This year the maximum falls a day before the moon reaches first quarter so the best rates will be after midnight when the moon will have set so moonlight won't interfere. Geminids are medium-speed meteors, often bright and seem to last just that bit longer than other showers, which is likely related to their parent object's rocky nature. They are a great way to round out a year of mesmerising displays. - This story was originally published in The Conversation and has been adapted.